This is a new-to-us tradition, one that came out of panic last year. In our house, the Easter Bunny brings the baskets. Mom and Dad don't get credit for them. I am not sure how that got started, because honestly, I would appreciate a little credit sometimes, but at any rate, the Bunny gets all the thanks...at least for now. I love that Chase still believes in the Easter Bunny, so I am willing to give up my cred for as long as it takes! As most of you know, we have 2 large dogs, who like to eat EVERYTHING. Last year was the first Easter with them, and we knew we couldn't set eggs out for the boys without the dogs ruining each and every one of them. We ended up doing an egg hunt at my brother-in-law's house, so the kids still got to have their fun and get their fill of candy, etc. 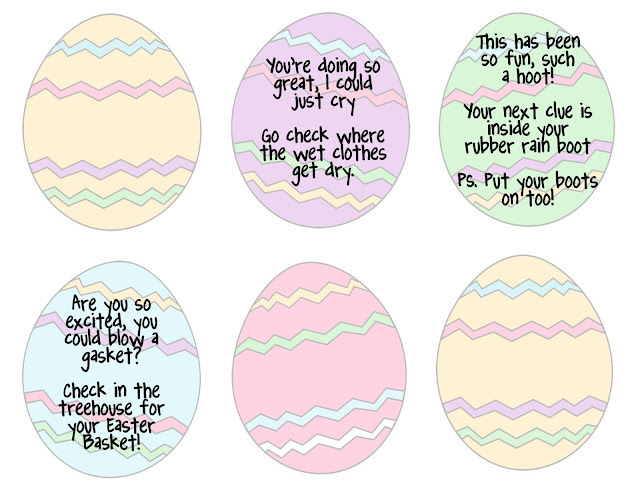 But, that posed an issue for how the Easter Bunny was going to deliver the baskets and not the eggs. 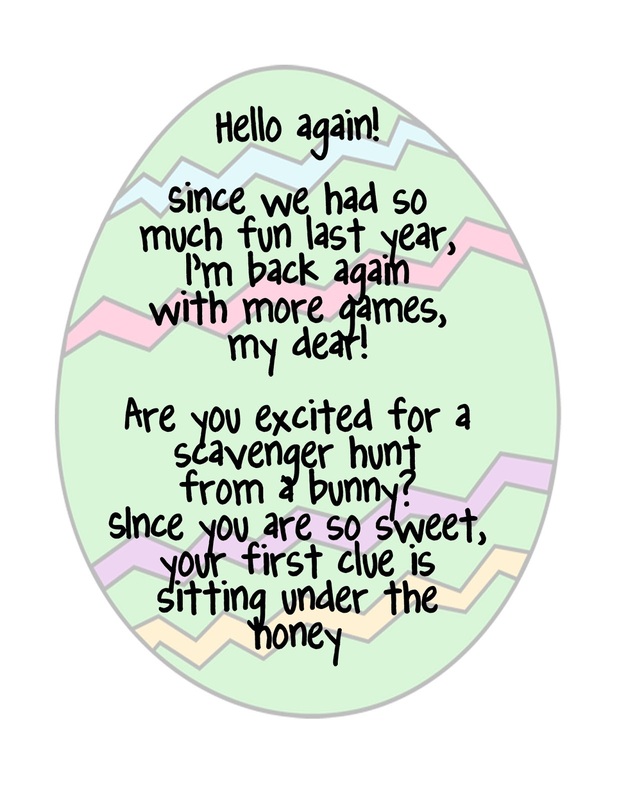 Since we were not doing an egg hunt at home, I decided it would be fun to do a scavenger hunt to find their Easter baskets. It was a complete last minute decision...I quickly typed up some random clues (the clues were from the Easter Bunny), printed them on plain white paper, cut them out, and then frantically tried to hide them when no one was looking. But, it was SO much fun! The boys absolutely loved it and they were almost as excited about finding their baskets as they were on Christmas morning! That excitement motivated me to do it again this year. However, this year I have planned and prepped. Such a nice feeling to have things planned instead of running around at the 11th hour, you know! Live and learn. Anywho, I wanted to share what I put together incase you are looking for a fun, new tradition for your little crew! You could of course change the wording and make them personalized to suit your family. I am attaching a blank sheet of the eggs along with the clues I typed up this year. I ultimately decided to print the introduction on a separate page. I wanted it to be larger because I am going to put it on the front door...as if the Bunny left it there for them. 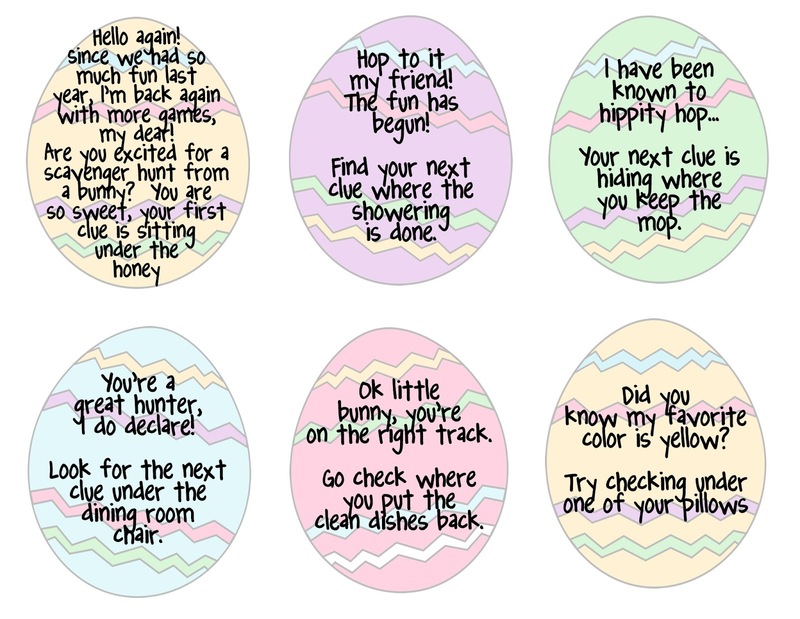 Click HERE to access all of the free printables....both the blank egg sheets and the scavenger hunt clues from this year and last year. 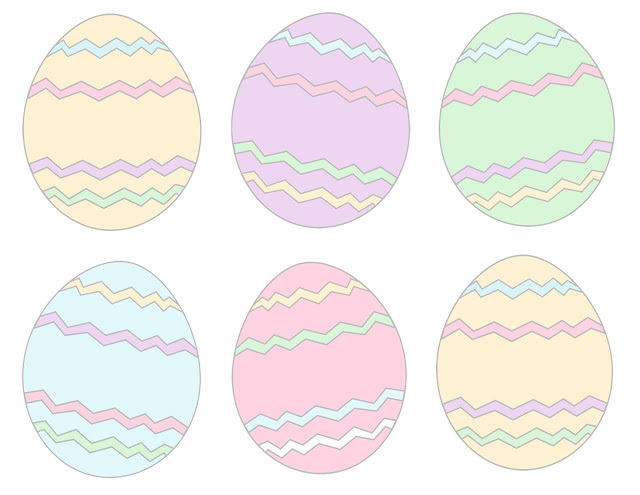 What is one of your favorite Easter traditions?